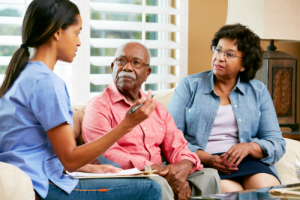 AG Home Care Services in Philadelphia, Pennsylvania will evaluate your current health condition and care requirements first before you are assigned to a compassionate healthcare professional. After the evaluation, we will develop a care plan specifically designed to address your unique needs. You can also select the care professional whom you will be more comfortable with. Kindly coordinate with our office for care schedules and services available. For more details, you may Set An Appointment today.